Pressurised by the media, scrutinised by their peers, frowned upon even by those closest to them, mothers today face relentless criticism and pressure. Breast or bottle? Work or stay at home? Routine or feeding-on-demand? The choices are infinite and at the heart of each question is the more controversial and divisive debate of what makes a good mother. 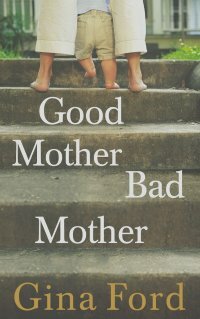 Good Mother, Bad Mother is an illuminating, moving and thought-provoking study of this enigmatic question. Never before has the subject of motherhood been tackled with such unflinching honesty. Drawing on her experience of thousands of mothers, bestselling parenting author Gina Ford has turned her attention to the women charged with bringing up the next generation. She addresses the challenges of contemporary motherhood and fervently argues that these awe-inspiring women seldom receive the support, respect and admiration they deserve. And for the first time, in a candid, personal account, Gina interweaves stories from her own childhood, revealing how her relationship with her own mother has shaped the choices she has made. Any woman who has ever doubted her capabilities as a mother will find comfort and reassurance in the insights of the woman whose books have been justly described a 'godsend'.